We are strategically placed on the UK’s Eastern Seaboard close to North Sea Oil and Gas installations. 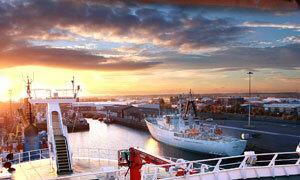 Hull is acknowledged as one of the world’s most progressive shipping centres and justly described as “The Gateway to Europe”. We are situated minutes from the centre of Hull with easy access to Motorways, Rail Links and Humberside Airport.